In an effort to better utilize the funds raised through the NWTFSC Super Fund Program and help reach state Save the Habitat. Save the Hunt. initiative goals, the NWTFSC State Board has recently adopted a request for proposal process. If your organization or agency has a project that impacts wild turkey management (including but not limited to research, land protection or habitat management like timber thinning and prescribed fire), please consider partnering with the NWTF. The NWTFSC State Chapter Super Fund Committee will meet in September to rank the proposals and provide recommendations to the full state board for approvals. Partners will be notified whether or not their proposal was approved and approved projects will be funded by the requested date. A final report, with support materials (e.g., pictures, etc. ), detailing the outcomes and impacts of the funded projects will be required within one month upon project completion. If you had a project funded during the past year and have not reported results, please submit a report along with your proposal. Failure to do so, will negatively impact the ranking and potential funding of future proposals. Proposals that include items such as equipment, fertilizer, seed, etc., must include two written bids. However, the NWTFSC State Chapter reserves the right to purchase item(s) requested for approved projects from local sources. The item(s) will then be delivered to the requesting partner. 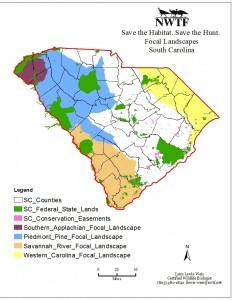 If a proposal is submitted at a region-wide scope, all areas contained within the region must be listed individually with associated requested item(s) (i.e., by WMA or management unit). Soil test documentation obtained in the past 3 years will be required for any lime, fertilizer or seed requests. Photographs, sketches, and/or detailed descriptions of proposed projects must be submitted. Additional background information and potential impacts of the proposed project will strengthen the proposal. Please contact me if you have any questions. 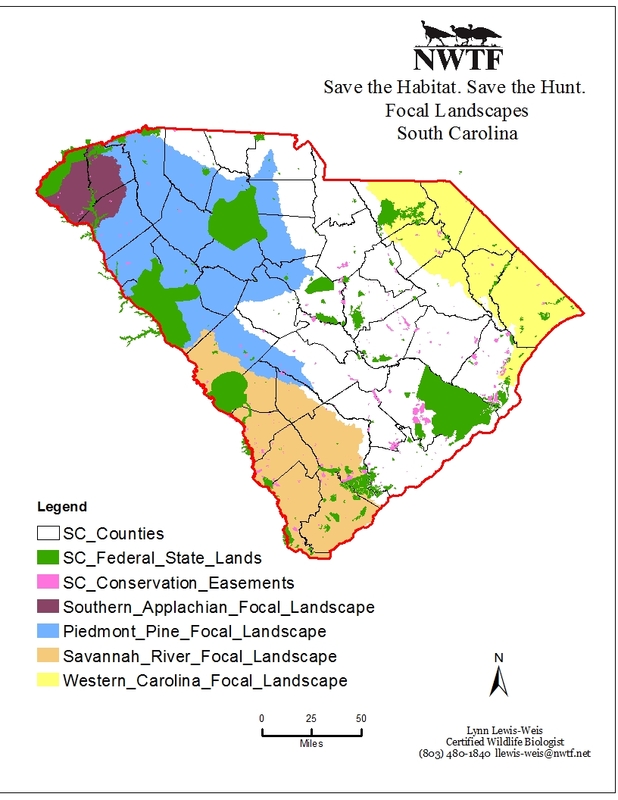 We welcome any comments or suggestions on how to improve this program for you and we look forward to working with you as we conserve and enhance South Carolina’s natural resources.